This month’s maker-focused HackSpace Magazine includes my relatively long-term review of an extremely clever, though far from perfect, temperature-controlled soldering ‘station’: the Miniware TS100. First, some necessary definitions: brushing aside standard, fixed-power soldering irons, you’ll find adjustable-temperature and temperature-controlled irons on the market. The former are, typically, not much larger than a standard soldering iron and include a small knob on the body for adjusting the power and, thus, temperature of the tip. The latter go a step further, reading the temperature of the iron and using the feedback to dynamically adjust the power output to keep the tip as close to a chosen temperature as possible, and most often come with a bulky base station to which the iron is tethered. The Miniware TS100, and its not-yet-available-in-the-UK successor the TS80, is different. While it’s a fully-fledged temperature-controlled iron, there’s no base station in sight: instead, the iron packs everything it needs into a surprisingly compact body, including a small OLED screen for live feedback and adjustment of its settings. What’s most interesting about the design, though, is that the firmware that drives its internal microcontroller is open source. It’s entirely possible to download the source code, modify it, and flash it onto the iron with nothing more than a simple USB cable – and many have done that, producing alternative firmwares which either improve its performance or turn it into something else, including a Tetris-playing games console and a functional oscilloscope, entirely. The TS100 is clever, then, but not perfect. A design which lacks any form of flaring to stop your fingers drifting forward onto the hot tip is one thing, but a larger problem is an ungrounded power design which leaves the tip floating at voltages more than enough to damage sensitive components. Thankfully, the reviewed unit came with a bundled grounding strap – but that leaves you with two wires rather than one, hampering the portability somewhat. The full review can be read in the print and digital copies of HackSpace Magazine Issue 13, with the latter available for free download now under the Creative Commons licence from the official website. Hobby Tech this month takes a look at a trio of very different products: the Clockwork GameShell modular hand-held console, the Dexter GiggleBot BBC micro:bit-powered robot, and the Coinkite Coldcard hardware cryptocurrency wallet. First, the Coldcard. Designed by the company behind the Opendime (reviewed in Issue 175, and dead due to an apparent design flaw a week later), the Coldcard is roughly the size of a small stack of credit cards but provides a full hardware wallet for the Bitcoin and Litecoin cryptocurrencies. At least, that’s the theory: sadly, in practice, the device proved difficult to use owing to software glitches, hardware flaws, and a lack of third-party software support which reduces you to using only one wallet package to interface with the Coldcard. The GiggleBot, by contrast, is a significantly more polished product. While the documentation still needs work, the robot itself – featured two individually-addressable motors, a line- or light-following sensor board, RGB LEDs, and expansion potential from Grove-compatible connectors and a pair of servo headers – is exceptionally impressive, and a great introduction to basic robotics for younger programmers. Those looking to make the leap from the block-based MakeCode environment to Python, though, will discover that the two libraries are far from equivalent in terms of feature availability – something that, again, will hopefully be addressed in the future. Finally, the Clockwork GameShell. 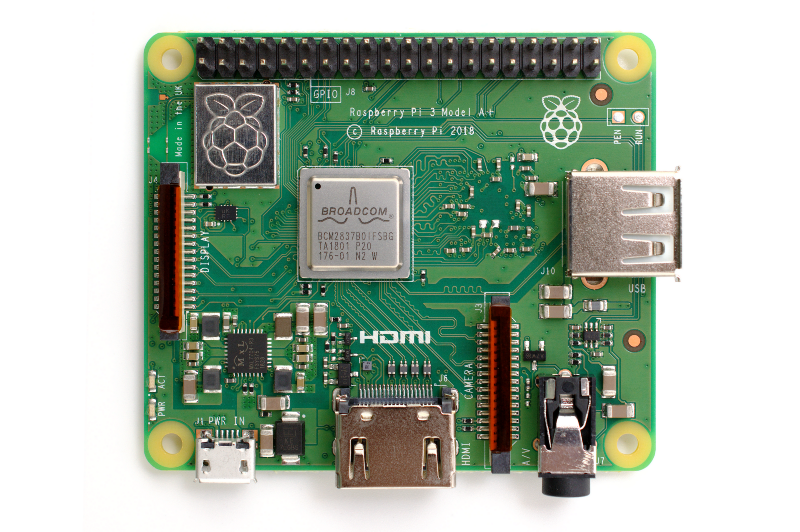 Produced following a successful crowdfunding campaign, the device is based around a Raspberry Pi-like single-board computer dubbed the Clockwork Pi and runs a customised Linux distribution with neat menu system. Its internals, interestingly, are modular, with each contained inside a snap-together transparent plastic housing – a decision which makes for a slightly bulky Game Boy-like outer shell and, sadly, is the direct cause of some overheating problems for the system-on-chip (SoC) during more intensive games like Quake. These issues, though, are largely outweighed by sheer novelty value: a few minutes of FreeDoom in the palm of your hand is sure to raise a smile. 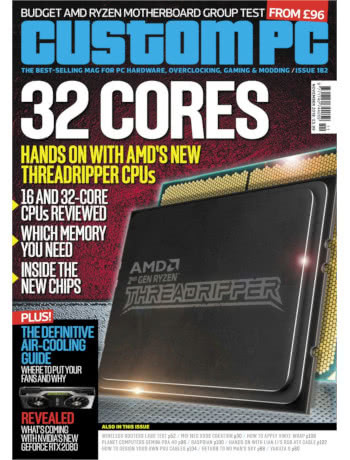 The full reviews can be read in Custom PC Issue 184, available from your nearest supermarket, newsagent, or digitally via Zinio and similar services. In Hobby Tech this month, there’s a look at a project which has genuinely transformed my mornings, a tiny temperature-controlled soldering iron with a hackable firmware, and the latest brain-melting program-’em-up from Zachtronics. Starting with the game first, Exapunks caught my eye as soon as I saw it announced by developer Zachtronics. Taking the assembler programming concept of earlier titles TIS-100 and Shenzhen-IO, Exapunks wraps them up in a 90s near-future cyberpunk aesthetic alongside a plot driven by a disease called “the phage” which turns victims into non-functional computers. Because of course it does. Anyone familiar with Zachtronics’ work will know what to expect, but Exapunks really dials things up. From the puzzles themselves – including one inspired by an early scene in the classic film Hackers – to, in a first for the format, the introduction of real though asynchronous multiplayer on top of the standard leaderboard metrics, Exapunks excels from start to oh-so-tricky finish. The MiniWare TS100 soldering iron, meanwhile, sounds like it could be straight from Exapunks – or, given its name, TS-100: a compact temperature-controlled soldering iron with built-in screen and an open-source firmware you can hack to control everything from default operating temperature to how long before it enters power-saving “sleep mode.” While far from a perfect design – and since supplanted by the TS80, not yet available from UK stockists – the TS100 is an interesting piece of kit, with its biggest flaw being the need to use a grounding strap to avoid a potentially component-destroying floating voltage at the iron’s tip. Finally, the project: an effort, using only off-the-shelf software tied together in a Bash shell script, to print out a schedule of the days’ tasks on my Dymo LabelWriter thermal printer. Using the code detailed in the magazine, the project pulls together everything from weather forecasts to my ongoing tasks and Google Calendar weekly schedule – along with a word of the day and, just because, a fortune cookie read out by an ASCII-art cow. All this, and a variety of other topics, is available in the latest Custom PC Magazine on newsagent and supermarket shelves or electronically via Zinio and similar services. Readers over a certain age will remember the glorious, though brief, age of the personal digital assistant: pocket-size gadgets, typically though not always in clamshell format, exemplified by Psion’s classic Series 5MX. The rise of the smartphone was the death of the PDA, but there’s a company still clinging to the dream: Planet Computers, with its Gemini PDA. Reviewed in the latest HackSpace Magazine in Gemini 4G form, which adds an LTE radio for data and voice traffic allowing the device to double as a cumbersome smartphone, the Gemini traces its lineage all the way back to the Psion Series 5. Sadly, as a loaner Series 5MX kindly provided by The National Museum of Computing (TNMOC) proved, the resemblance is only skin-deep: the clever sliding keyboard mechanism of Psion’s design is replaced in the Gemini by a straightforward fold supported by a too-weak metal hinge at the back which only loosens over time. Given HackSpace’s target audience, my review focused less on the device as supplied – running Android 7 – and more on how it acts when given a customised version of Debian Linux supplied for the more technical user by Planet Computers. Installation wasn’t straightforward, sadly, and use even less so – and a battery life test revealed the unoptimised nature of the Debian port, cutting nearly four hours off the device’s lifespan during a video playback test. I’m still a believer that there’s a demand out there, albeit small, for what would be a true Psion Series 5MX successor: robust, chunky yet pocket-size, with an outdoor-readable display based perhaps based on colour E-Ink technology. Sadly, the Gemini isn’t it. The full review is available now, both in print and as a free-as-in-speech-and-beer digital download from the official website. This month’s Custom PC Magazine sees my Hobby Tech column take a look at TheC64 Mini, a rather annoyingly-stylised recreation of the classic Commodore 64, experiment with Raspberry Pi-powered cluster computing via GNU Parallel, and drink a toast to the memory of the late and lamented Rick Dickinson. First, Rick. Best known for having been Sinclair Radionics’ – later Research, still later Computers – in-house industrial designer, Rick is the man responsible for the iconic look of the ZX80, ZX81, Sinclair Spectrum, and Sinclair QL, among other devices. While blame for their keyboards lies further up the chain, Rick did the best with his instructions to the point where his designs are still immediately recognisable today. Sadly, Rick had been in ill health of late, and recently passed; my article in this month’s magazine serves as a ode to his memory. TheC64 Mini, then, feels like a bit of an insult, being as it is the modern incarnation of a device from US Sinclair rival Commodore. Created by Retro Games Limited – not to be confused with Retro Computers Limited, creators of the two-years-late-and-counting ZX Vega+ handheld console, but rather a separate company formed by a split between RCL’s directors present and former – TheC64 Mini appears, at first glance, to be a breadbin-style Commodore 64 that’s been shrunk in the wash. While deserving plaudits for actually existing, unlike the ZX Vega+, TheC64 Mini isn’t exactly a stellar success: inside its casing, which is dominated by a completely fake keyboard, is a tiny Arm-based single-board computer running Linux and a hacked-around version of the Vice emulator. Its emulation suffers from input lag, something RGL originally attempted to blame on people’s TVs before releasing an update which reduced the problem without completely fixing it, and the bundled Competition Pro-style joystick compounds the problem by being absolutely awful to use courtesy of a rubber membrane design that should have been left on the drawing board. Finally, the cluster computing tutorial walks the reader through creating a multi-node cluster – of Raspberry Pis, in this instance, though the tutorial is equally applicable to anything that’ll run SSH and GNU Parallel – and pushing otherwise-serial workloads to it in order to vastly accelerate their performance. In the sample workload, which passes multiple images through Google’s Guetzli processor, run-time went from 1,755 seconds in single-threaded serial mode to 125 seconds running on the eight-node cluster – housed in a Ground Electronics Circumference C25 chassis, because if you’re going to do something you should do it in style. All this, and the usual selection of other interesting articles, can be found in your nearest newsagent, supermarket, or electronically via Zinio and similar digital distribution platforms. This month’s Hobby Tech column takes a look at an open-source microcontroller-driven hobbyist oscilloscope and a book which aims to document art in video games, while also walking readers through the rather handy trick of setting up a reverse SSH tunnel. First, the tutorial. Since Code42 announced that CrashPlan Home, my chosen off-site backup solution, was being discontinued, I’ve been looking into alternatives. A Raspberry Pi with a USB hard drive and a copy of Syncthing installed does the job nicely, except for the issue of management: once it’s off-site, I’d have to configure someone else’s router to forward a port so I can SSH into it. An easier alternative: a reverse SSH tunnel. Where a traditional SSH connection goes from local device to remote host, a reverse tunnel goes from remote device to an intermediary device – in my case, a home server on my own network. Your local device then also connects to said intermediary device, and you have full access to the remote device regardless of whether or not it’s behind one or more firewalls or even whether you know its public-facing IP address. The first of the reviews, meanwhile, is a little cheeky: while the device on test is based on the JYE Tech DSO138 open-source oscilloscope design and firmware, I’ve been using a clone rather than an original – having spotted it on offer during an Amazon sale and been unable to resist a bargain. While the conclusions I draw on the scope’s functionality and usability apply equally to both, a first-party JYE Tech version is likely to feature better build quality and certainly includes better support. Finally, my review of the coffee table tome – yes, another one – Push Start: The Art of Video Games is one of those rare occasions where I’ve been disappointed by what should have been a product aiming for a very low bar. While the full-colour hardback publication includes plenty of high-quality pictures, it also includes some extremely low-quality screenshots as well – particularly noticeable at the beginning where vector games are captured as bitmaps using MAME’s default ultra-low resolution, and at the end where tell-tale artefacts show the use of third-party JPEG images rather than first-party captures. Worse still is the limited accompanying text, which is riddled with errors. The latest Hobby Tech is available now from newsagents, supermarkets, and electronically via Zinio and similar digital distribution services.